Steve and I were looking for an outdoor patio cover that was a little different, and that didn’t require major construction either. We found it in shade sails. Popular in Europe for quite awhile, they are catching on in the US quickly because of their ease of installation, ability to adjust them to each lighting situation, and let’s face it… they are just plain awesome. 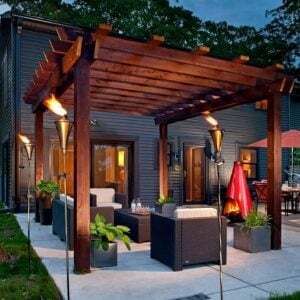 If you want to use these for your outdoor space, this is how to install shade sails, and how to get around the issues these types of shade covers present. 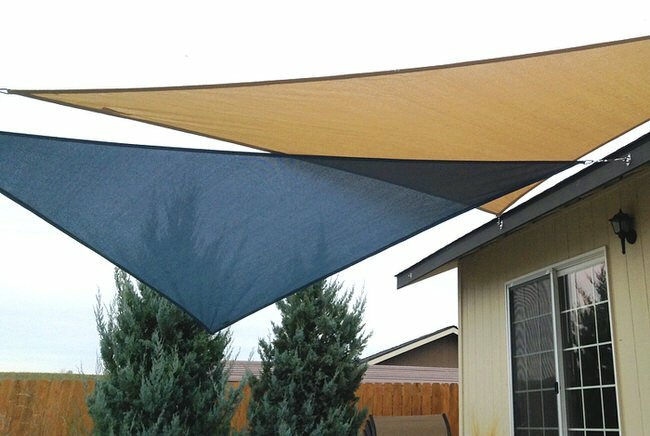 Buy your shade sails to cover the area you intend. There are many brands, shapes and sizes. Be careful you don’t purchase ones made of cheap materials, unless you only expect them to last one season. We bought the Coolaroo shade sail from ‘Hayneedle‘. We researched this a lot and bought Coolaroo because they have the best quality UV resistant fabric. We really didn’t want these to be a short lived solution. Make sure you buy the Coolaroo sets that come with hardware kits. Also, the shade sails called “party shades” tend to be cheaper, but we are betting they don’t last very long either. These Coolaroo’s have lasted us three seasons so far, without fading. They came with all the hardware to hang, though you can buy an extra hardware kit if you need it. You should have mounting brackets and turnbuckles, which tighten to adjust. We preferred to layer several triangle shade sails, but if you prefer, they come in squares and rectangles too. If I didn’t have Steve to think through the triangle thing, I would have gone with a rectangle. Sounds simpler, but not as cool! 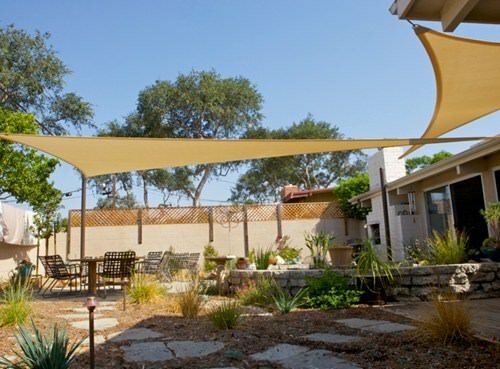 Installing the shade sails is as easy as making sure you have strong supports, such as the side of a building, or a post. Keep in mind, these shade sails require a lot of tension to get them to stretch tight enough so that they look right, and don’t flap around in the wind. Make sure you attach them to a stud on a building, a sturdy metal pole, or learn how to make a wooden post work, as we did. (More on that below!) 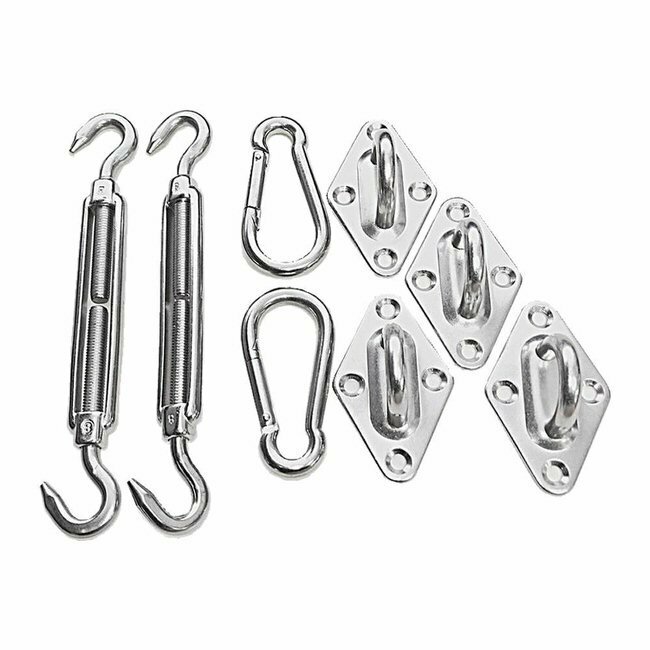 Here are the hardware sets that came with our Coolaroo shade sails. 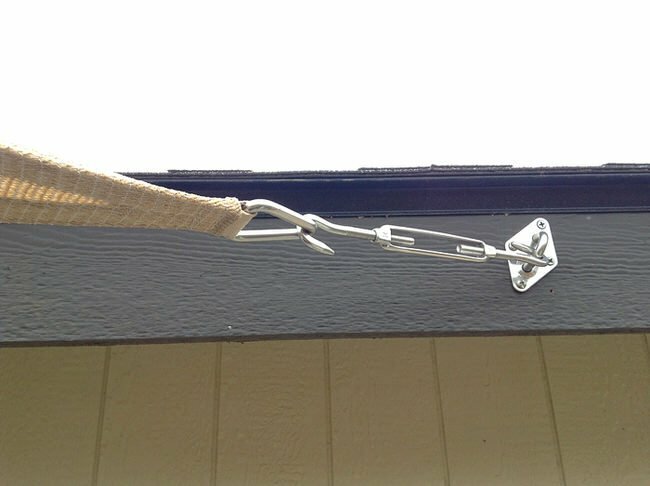 If at all possible, make all your attachment points right at the corners of the shade sail so that all you need to use is the hardware that came with the shade sail. If like us, it isn’t possible to have an attachment point or install a pole right where the corner is, then don’t be discouraged. Check out the work around that we came up with below. For us, a few corners ended up being right above the middle of the lawn or the middle of the patio. So this is what we did. We installed 4×4 posts (we should have used metal poles) where we wanted the sails to attach to. (more on that below). Then we laid out the shade sails on the ground in the manner in which we wanted to hang them, then measured how much we would need to extend each end to reach the posts. Then we mounted the brackets at each corresponding attachment point with a drill and screws. We got some metal cable and crimps from home depot. The metal cable goes through one end of the crimp, loops through the buckle on the shade sail, then back through the other side of the crimp. See photo, below. Use a hammer to pound the crimp closed, and it locks it tight. Measure the length to the turnbuckle for the opposite fastener, and create another loop at that end. It doesn’t have to be a perfect measurement because the turnbuckle tightens down. 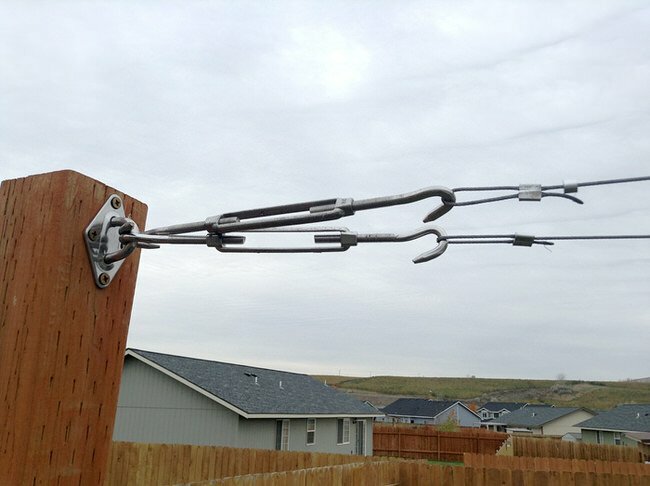 Make sure when you measure the length of your extension wire, the turnbuckle is adjusted at its most open position. That way, you have room to tighten it down. It will tighten more then you think. When you have extension wire made for all the ends that needs it, move to the next step. 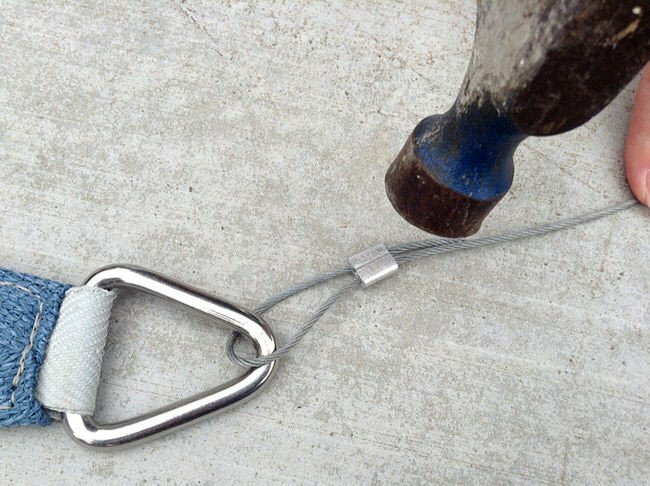 Attach the turnbuckles to the mounting bracket, and loop the extension end of the wire onto the open end of the turnbuckle, tighten each turnbuckle until the sail is taut. Now you want to really tighten the turnbuckles. We stuck a screwdriver throughout the open body of the turnbuckle, and used it to turn the buckle when it got tight, to tighten it even further. Tighten each end a little at a time, so that all the ends tighten evenly. We mounted one of our mounting brackets lower on a pole, so that we could angle one of the sails against the afternoon sun. This last photo, below, gives you a picture of one of our issues with the wooden posts we used as supports. (Please ignore the ugly patio, these photos were right after I moved in!) We installed these posts ourselves for the purpose of mounting the shade sails. We used several bags of concrete and buried them two feet under, 4×4 pressure treated lumber. When we attached the extension wires and tightened them down, they were bending a little! That is what we mean when we say a lot of tension! Possibly that won’t be an issue for you, or you will decide the slight amount of bending of the pole doesn’t bother you, (Steve’s a perfectionist… and it’s a good thing, too, or we never would have pulled this off to look so great!) But if you decide to go with our brilliant plan, we found a fix. We used the same metal cable we anchored the shade sails with, and we braced the pole by wiring it down to the base of a metal fence post that is also cemented in the ground. (the photo cuts this off to the right) You can see a touch of the cable to the right side of the photo…. 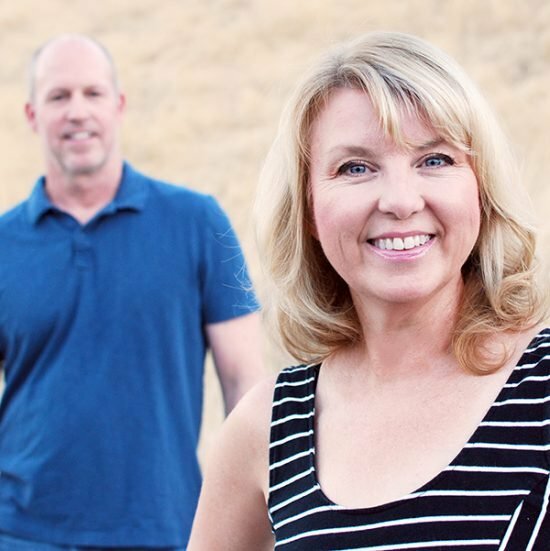 I know, sounds like a lot… But it turned out to be awesome! Any questions? Again, if at all possible, use metal poles to attach to. Very sturdy 4 to 5 inch (diameter) metal poles would be best. 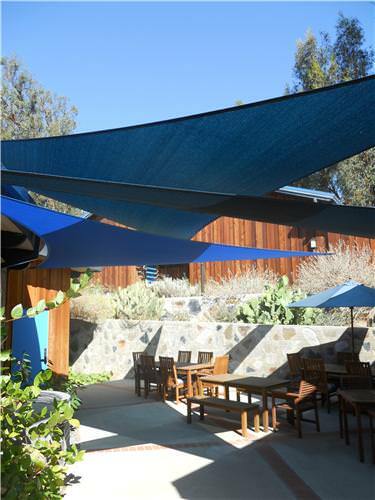 Want to see more shade sails used to make amazing outdoor spaces? Be inspired! 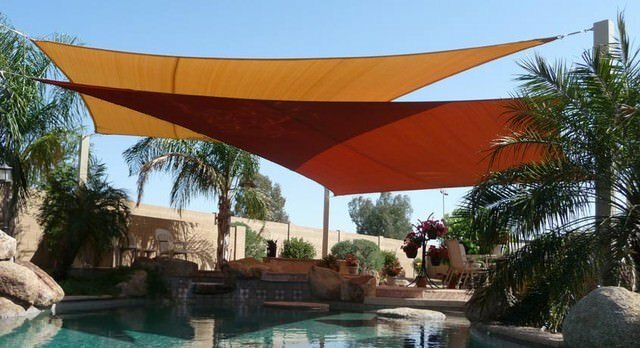 These triangle shade sails were used over a patio space next to a pool. They used the metal fence poles to anchor the sails. 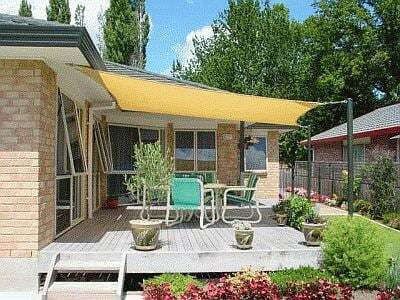 Patio Shade Sails, photo by ‘Landscaping Network‘. Triangle shade sails layered over a patio, from ‘Landscaping Network‘. 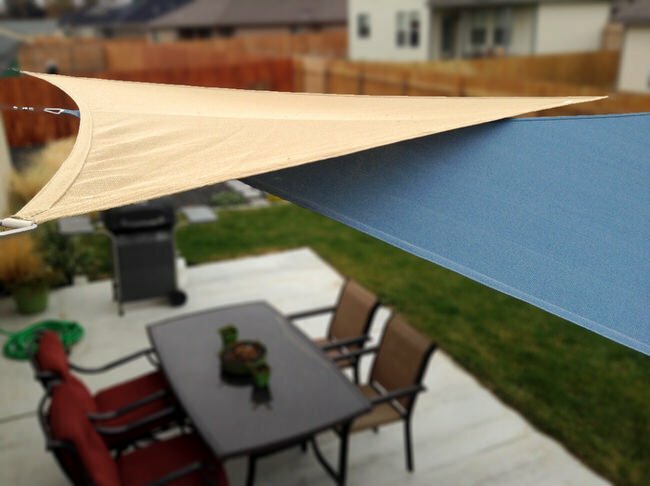 Rectangular backyard shade sails keep an outdoor dining space cool. Photo from ‘Amenity Architects‘. This is a genius use of shade sails. Sometimes, even in the cool water of a pool, the sun can be really intense. Not good for our skin, or our relaxation! Here they used rectangle shade sails over a pool. Again, notice the very substantial poles they used to anchor the sails… we can’t emphasize that enough! Photo by ‘Tenshon‘. 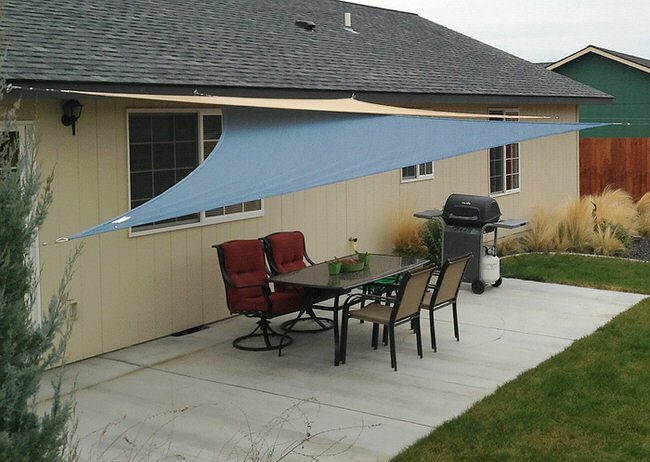 Outdoor shade sails can be used over walkway areas too! 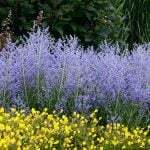 Photo from ‘Terry Designs‘. 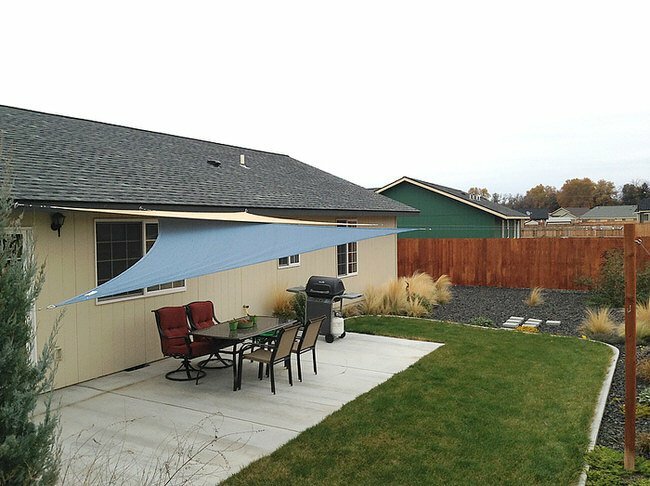 We hope you learned how to install shade sails, and that you put them up in your own yard! 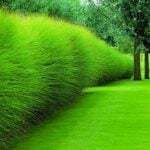 We think you will also love our posts on 9 DIY Way to a Shady Backyard Oasis and One Day Backyard Ideas! 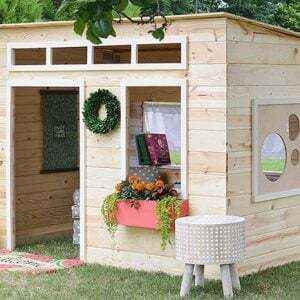 She Said : I Want a SHE SHED! Shade Sails are an awesome idea. We recently lost the trees in our backyard from a tornado and needless to say our dogs would not stay in the backyard until we installed ours. We have had ours going on 7 years and they still look amazing. Hello! May I ask, what size shades did you buy? I am looking to cover a similar sized area. nice work! Hi! Ours are 16x16x16, but make sure you measure where you want shade, and from where you are going to be attaching them, and take into consideration that the ropes or cables to attach give you some extra length too… Good luck, and thx! 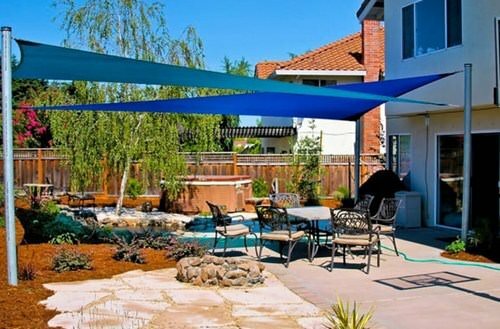 Shade sails are a modern and aesthetically pleasant way to create outdoor shades at home or business. Top benefits include ultimate protection from sun UV rays which are harmful and could lead to skin disease. Sun shade sails to cover your patio, swimming pool area, gardens, children’s play areas, car parks and other vehicles, and nearly any outside area that needs to keep cool n shade from the sun rays. Among several types of shade sails; rectangle and triangle shade sail are top shade sails design that people loves to see and use for covering their outdoor open space. We’ve had the Amazon sails up for 3 years now, with no sign of wear… Make sure to get the ones with Sunbrella fabric though! How tall are your pressure-treated wooden posts, and how far down is their footing? I’m about to do something similar, but if the wood won’t work I’d like to not learn the hard way. I believe we used 10 foot posts, and buried them 2 feet down for good support. I LOVE LOVE LOVE the idea of these shades in our back yard. 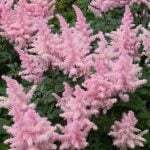 Do you leave them up all year round? Where you live, do you have to deal with high winds and a snowy winter? We do deal with high winds, and as long as they are securely and tightly hung, we have no problem… We do take them down in the winter however, I don’t think the weight of snow would be good! Where do you buy the shade sails or is there a website to order them. 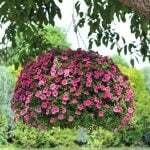 We have had a canopy but where we live the wind is brutal that that they stretch out so much and then rip….Thanks for the info….